Camping available from 12 noon Saturday with the main show day being on the Sunday. Advanced Tickets can be purchased from our website, saving you ££££'s on the gate price. Advanced Ticket deadline is 16th May. Tickets will also be available to purchase on the gate. Trade Stands & Autojumble Plots are still available with Trade Stands starting from £40.00 and Autojumble Plots are FREE! 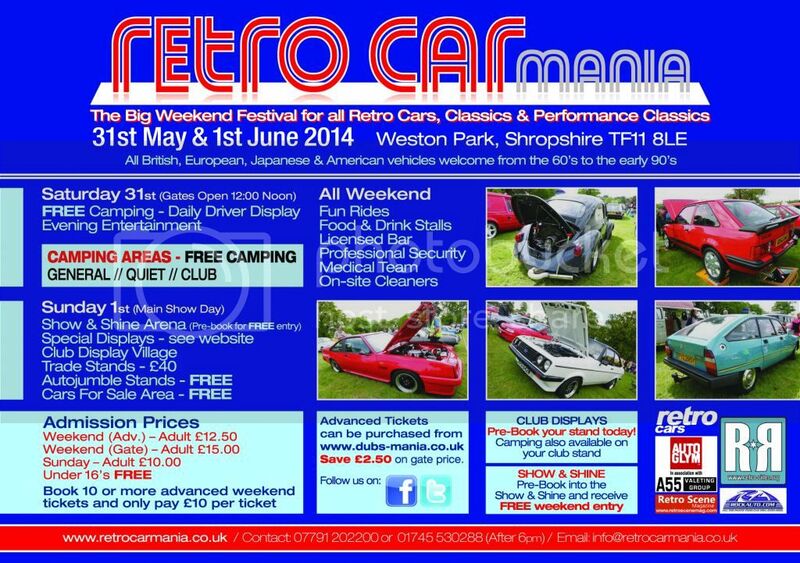 With over 100 Trade Stands and hundreds of Show Vehicles & Club Vehicles and a great mix of Retro Cars then this is one not too miss!